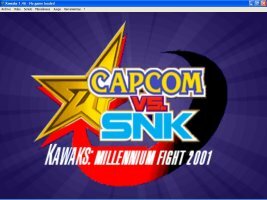 Hello guys in this post I bring you download the WinKawaks 1:59 emulator. With it you can play several old games released for arcade. Many games compatible with it can also be played online. The WinKawaks 1:58 version is the most recommended to play online via Kaillera server because it is what has the best performance in relation to lags. Most of the rooms you enter in Brazil is this version more used then you need to download it to be able to play for longer on the servers. Below follow the links. Download the compatible games here in our same blog. Below also has a video explaining how to play online. Any questions, suggestions or praise, leave a comment below. Subscribe to our blog to stay on top of what happens here.